A member of Expedition 28’s crew on the International Space Station took this photo of Atlantis reentering yesterday morning. 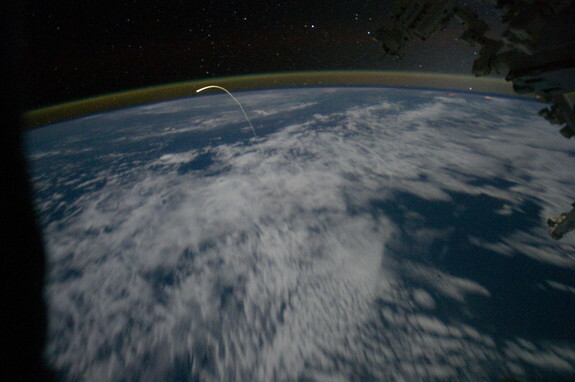 Check out the bright plasma trail against the Earth’s atmosphere as the orbiter reenters. Photo credit: NASA/Johnson Space Center.